Please order these publications from your local neighborhood bookstore. They are also available on-line. By Anthony M. Sammarco, soft cover, 96 pages. Vintage Jamaica Plain photographs are placed alongside contemporary ones showing well-known buildings and streetscapes as they once were and as they appear today. Included are historic photographs of Jamaica Pond with its icehouses, streetcars, schools, places of worship, and homes. 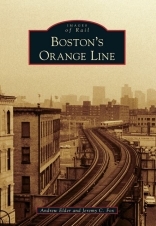 Anthony M. Sammarco is a noted historian and author of more than forty books on the history of Boston and surrounding cities and towns. Sammarco teaches history at the Urban College of Boston. Since 1901, this rail line’s configuration has evolved in response to changes in the city, society, and technology. Hazardous sections have been eliminated, ownership has changed from private to public, and the line has been rerouted to serve growing suburbs and to use land cleared for the failed Inner Belt. Both its northern terminus, which shifted from Everett to Malden, and the southern route, realigned from Washington Street to the Southwest Corridor, have seen dramatic transformations that have in turn changed riders’ lives. Today, the line’s 10 miles of track curve through many Greater Boston communities, serving thousands along the way. By Alexander von Hoffman (Johns Hopkins, 1996). 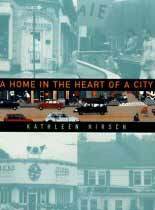 This book explores the emergence of Jamaica Plain during the late nineteenth and early twentieth centuries. Like other American urban neighborhoods of the era, Jamaica Plain experienced the arrival of many ethnic groups, a house-building boom for members of every social class, and the creation of commercial, industrial, and recreational areas within its boundaries. Businesses, churches, schools, clubs, charitable societies, and political organizations spun a web of social ties that fostered a powerful sense of allegiance to the local community. Drawn from a wealth of primary sources and illustrated with more than fifty photographs and maps. by Jill Hofstra, soft cover, 252 pages. 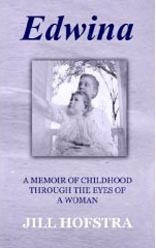 Jill Hofstra’s new book Edwina chronicles the life of a precocious and delightful girl who lived in Jamaica Plain in the early 1900s. Jill Hofstra knew her grandmother had a passion for capturing childhood experiences and life reflections in writing. But it was not until after her death that her journals were discovered and a collection of colorful memories were revealed. Hofstra pored over the diaries of her grandmother and edited them into a compelling work that takes readers to turn-of-the-century America, where they find Edwina happily growing up on Paul Gore Street in Jamaica Plain, Boston. “What makes this compilation so interesting, heartwarming and entertaining are the personalities she meets, young Edwina’s open and honest approach to them and to the problems she confronts,” Hofstra writes. The journals, written as remembrances of childhood by an older Edwina, add a layer of wise perspective to the blissful unawareness of youth. She recalls how the harsh challenges of poverty and growing up Protestant in a Catholic community never seemed so bad through the filter of an optimistic young girl’s mind. Edwina also reveals what it was like growing up with a working mother - a dressmaker - and a mysterious father she barely knew. A fascinating procession of characters leaves indelible marks on Edwina’s life and that of the reader.